What do you say to yourself when you mess up with your kids? If you are like many of us, you berate yourself. My guest, Kristin Neff, has done the research that shows that our harsh self-criticism does NOT work. It doesn’t help us grow and become better parents. In fact, it does the opposite. So what does work? Self-compassion. 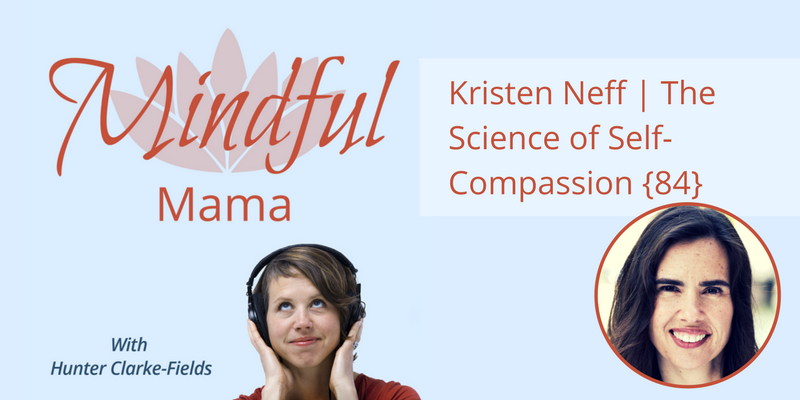 Kristin Neff is a pioneer in the field of self-compassion research, conducting the first empirical studies on self-compassion over a decade ago. In conjunction with her colleague Dr. Chris Germer, she has developed an empirically supported eight-week training program called Mindful Self-Compassion, and offers workshops on self-compassion worldwide. Find out more at Self-compassion.org. What is your self-talk like when you mess up? How could you offer yourself the same kindness you would do a dear friend? Start the conversation in the comments below! Thank you so very much for reading, my friend. If this podcast has benefited you, please share it with your friends and kindly leave a rating and review.